A traditional brewery of today (see model of traditional brewery below), that brews beer according to the German purity standards, produces beer, but also produces organic waste streams and lost energy. This waste from the brewery is organic material which means that its polluting effect could be seen as minimal. However, given the quantity of water needed for the large volumes of beer produced by today's breweries (up to more than 20 liters of water per liter of brewed beer), this organic waste is a problem. It is also a waste considering the amount of nutrients and protein used from the grains in the beer-brewing process. A small percentage of the nutrients are used, and the protein is left untouched in the spent grains after the process. One usage for the spent grains that is occasionally explored is that of animal feed. This is not an optimal use, though, as the spent grains are tough for the animals to digest. The result is indigestion and added amounts of methane gas emitted into the atmosphere by the animals. What is Zero Emissions about? One of the aspects of Zero Emissions is to increase value added. Looking at the traditional system above, the value added generated from the waste is very low. It is actually negative if the brewery must pay for getting rid of waste water and spent grains. In order to maximize value added for the inputs of the brewery, the ZERI Foundation searches for the best possible ways of using the generated waste in a cascading manner (see model of generic ZERI brewery below). 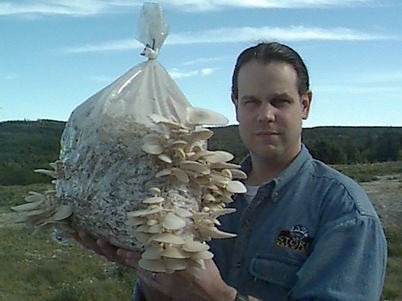 The advantage of growing mushrooms on the spent grains is that mushrooms will make the spent grains more digestible to livestock and will also increase the protein content. This will thus increase growth of animals and quality of meat. Next, the waste from livestock will be flushed into a digester with the waste water from the brewery. The digester (see footnote) generates two outputs: biogas and a nutrient solution. The biogas is stored in gas tanks and can be used in the brewery or sold. The nutrient solution will flow into shallow basins where algae, through photosynthesis, will digest it. These algae that have grown and multiplied on the nutrients will then flow into a fish pond and become feed for fish. The fish pond itself emulates nature with different species living at different depths. With some fish swimming from the surface to the bottom, this guarantees a healthy system functioning much like any wild lake without the need for antibiotics. What happened here? By generating value added in a cascading manner, ZERI used all the nutrients, protein and fiber from the spent grains, and the water from the process as a purification method. ZERI changed the concept of waste into that of a valuable resource to create more jobs, more income and a better environment. The digester is a container where no air can get in, in order to create anaerobic (without oxygen) digestion conditions. Anaerobic bacteria are more active than aerobic (with oxygen) bacteria that are present in the usual aerobic ponds or septic tanks. They are capable of converting 60 % of the organic matter in the waste water into nutrients in 5 to 6 days. This is the period during which they will act on the solids flowing into the digester, after that period they will look for fresh "food". A digester produces a superior effluent with the surplus of biogas (CO2 + CH4) or methane gas, which can be used as an energy source.